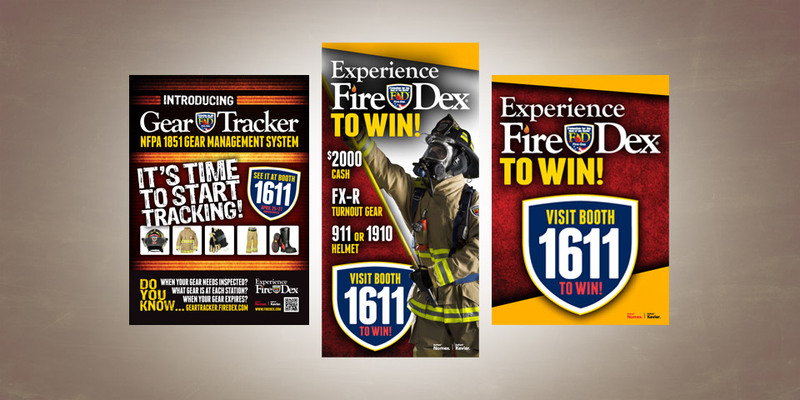 Fire-Dex has been providing first responders with the highest quality gear since 1983. Their brand portfolio includes Fire-Dex, Cheiftain, Proximity and FX-R making them the premier “Head to Toe” brand in fire fighting protective gear. They wanted to unify their marketing activities with a look that was bold, masculine and attention grabbing. We created a look that delivered those attributes while establishing their position and rightfully claiming their heritage. Are you looking for a marketing campaign with continuity and clarity? Talk to Boom Creative, one of Ohio’s leading design firms. We bring a thoughtful, consistent approach to our work and your marketing materials. We capitalize on your brand equity while delivering messages in a crisp contemporary way.